Mar. 28, 2018 1:00 p.m.
A member of the Active Trails Whitehorse Association is upset that snowmobiles are allowed on a trail council designated as non-motorized last summer. Keith Lay, with ATWA, said that after Whitehorse City Council passed the motion on June 12, designating the Whistle Bend paved perimeter trail as non-motorized, signs to that effect went up on the trail. Days later, he said those signs came down, only to be replaced by a multi-use trail sign. “There is no question (the vote) was non-motorized use in summer and winter,” said Lay, who attended last year’s council meetings in support of non-motorized use. He also participated in a task force on the issue as well as a public survey. “Why should we take part in these kinds of things when, at the end of the day, it’s turned around like this?” he said. “Just to clarify, nothing has changed,” said Doug Hnatiuk, manager of parks and community development with the City of Whitehorse. Hnatiuk said the trail was designated non-motorized by city council and that designation remains intact today. However, he also said the city’s snowmobile bylaw, enacted in 2012, provides an exemption that allows for snowmobile use on some trails in winter, though he said that exemption was never brought up in discussion about the Whistle Bend trail designation. Hnatiuk said he was involved in the rewriting of the snowmobile bylaw. At the time, there were recommendations that went forward that only allowed snowmobiles on motorized multiuse trails in the winter. He said mayor and council had the option to disallow snowmobiles altogether, or allow them on certain trails. 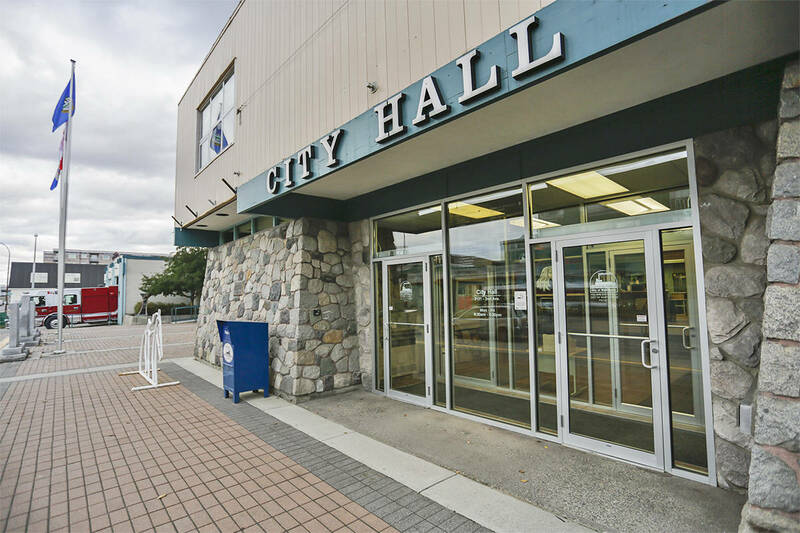 Hnatiuk said council chose to go with the softer approach of permitting their use on motorized multiuse trails and any other areas of the city not specifically excluded by the bylaw. Excluded locations include green spaces such as environmentally sensitive areas, ski trails, playgrounds, and downtown paths such as the Millennium Trail. A provision in the bylaw also prohibits snowmobiles from damaging the ground or vegetation, but Hnatiuk said that because no ground or vegetation are being damaged on the perimeter trail, snowmobiles can be used there. Lay is still upset that a number of Whistle Bend residents went through a city-sanctioned process to gather information and feedback on the trail, only to be ignored. “There is the issue of whether or not these should be motorized or not but the real problem here is the lack of a proper process on the part of the city,” he said. Lay said the trail task force held half a dozen meetings, each over two hours long. There were also open houses and online surveys. He said many wanted the trail to be designated non-motorized. “That was probably the most obvious and irrefutable response,” he said. Hnatiuk said the city is working now with the Whistle Bend community association to administer an online survey. He said the association asked the city to ask all Whistle Bend residents what they’d prefer to see in terms of trail use. “We’ll be sending a letter to every household in Whistle Bend inviting them to participate in the online survey that will ask whether or not we should continue to allow snowmobile use on the paved perimeter trail,” Hnatiuk said. He said the current designation of the trail wouldn’t change, but the perimeter trail could be included as an exemption in the snowmobile bylaw. Hnatiuk said the city hopes to get an online survey up and running by the week of March 26. He said there will also be posters put up in strategic locations in Whistle Bend, alerting residents to the survey. Residents can check the city’s website for updates on the survey.